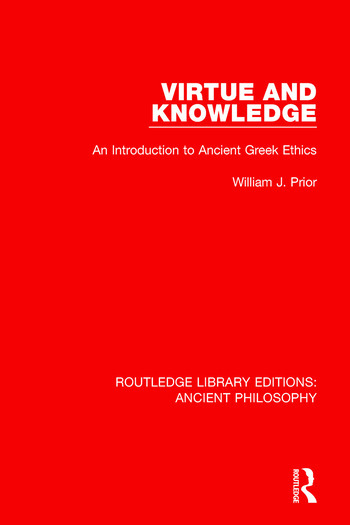 Originally published in 1991, this book focuses on the concept of virtue, and in particular on the virtue of wisdom or knowledge, as it is found in the epic poems of Homer, some tragedies of Sophocles, selected writings of Plato, Aristotle, and the Stoic and Epicurean philosophers. The key questions discussed are the nature of the virtues, their relation to each other, and the relation between the virtues and happiness or well-being. This book provides the background and interpretative framework to make classical works on Ethics, such as Plato’s Republic and Aristotle’s Nicomachean Ethics, accessible to readers with no training in the classics.